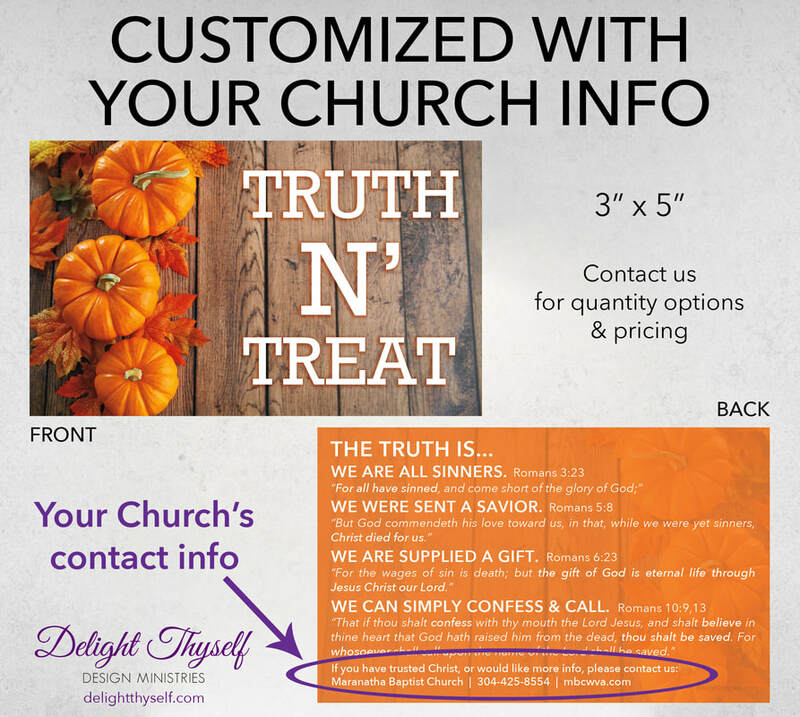 Why not give the Gospel with your candy during Trick-Or-Treat this fall? Think of all of the children and parents that will visit your house this October... where will they spend eternity? Maybe they have never heard the Gospel, maybe they are out of church, maybe they are under conviction? We believe in using every opportunity to spread the Gospel of Jesus Christ, so each year we offer these 'Truth N' Treat' Gospel Tracts to anyone willing to distribute them. WE ARE PRAYING FOR 20,000 THIS YEAR! This season we are also offering a new fall themed Truth N' Treat featuring wood grains, pumpkins, and leaves. There is no cost to you, simply send us your address with the quantity you would like to receive using the contact form below. We have seen several trust Christ as a result of this outreach over the last five years. We are praying for even more fruit this year! Would you be willing to give the Gospel to your trick or treaters?